No doubt, high translation quality is one of the factors that makes a client choose one translator over another. This is something that determines the price and added value of the translation job and is very important for the overall perception of the translated text. Poor translation quality can have dramatic negative impact on the customer. If it comes to a business project, the results may be a financial loss or failure to launch a product or service in a new market. Translation and localization services should always be subjected to Quality Assurance and meet the industry standards. The issue of translation quality is often debated. Some may argue that quality is a subjective perception of the implementation of a given job but the majority agrees that there are certain standards that can objectively measure the level of translation quality. Some of the most common pitfalls are in the different understanding of the idea of translation quality used by the client and the provider. Quite often, clients want certain words and phrases to be included or avoided in a given translation so that the text is consistent with other documents they have previously translated. In case, the client fails to supply those terms, however, there is a great chance that there will be a difference in the terminology used. In order to avoid that, clients should provide a reference file and details about the preferred terms. There is a difference in the spelling of UK and US English and that can be a reason for the poor quality of the translation. If the client prefers one of the spellings, they will be disappointed to receive the translated document written with the other form. As a service provider, make sure to always ask for such preferences in advance in order to avoid dissatisfaction. In some cases, the client is not completely sure what to expect from the translation. Failure to explain their proper needs quite often equals poor translation quality or lack of satisfaction. This is one of the most unpleasant and difficult situations to deal with. As a service provider, you need to meet the client’s requirements but also stay true to the established translation standards. 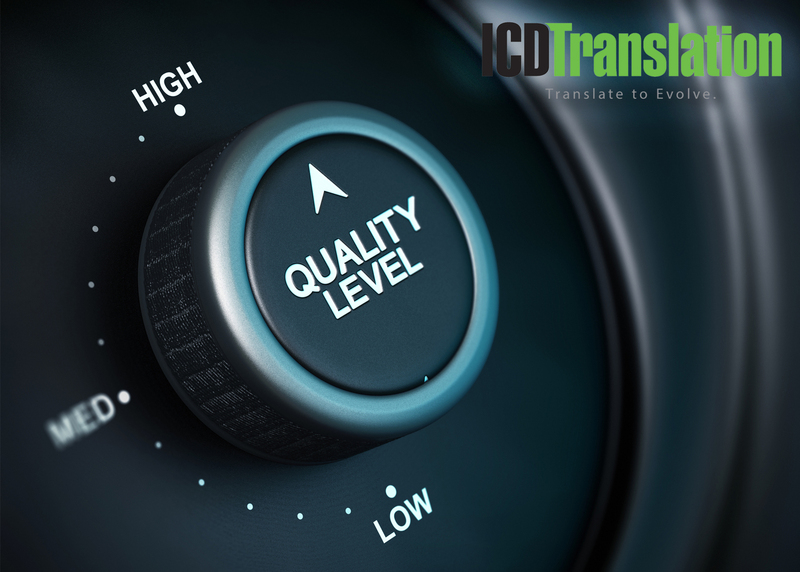 How do Companies Measure Translation Quality? Companies and organizations quite often have an in-house quality assurance system that they use to measure the quality of each and every translation. This is completely fine, however, it also means that there is no standardized or unified definition of translation quality across the industry. There are two main methods to measure quality – qualitative and quantitative. Smaller companies rely mostly on the first method and may assign scores depending on the type of errors in the next in order to measure its quality. Larger companies rely on statistical methods that they run through their numerous translations in order to see if the standard they have set is met. Generally, language service providers are not eager to share their system for measuring translation quality with other companies. 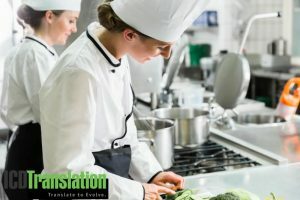 It is important, however, to have the methodology written down, so that every new translator who comes on board to be able to go through it and eventually apply it in the translations they provide. Proofreading is part of the quality assurance process and helps guarantee consistency of the text and same level of translation. It is extremely necessary when a larger text is translated by two or more translators to make sure that the final text runs smoothly. One of the ways to attract clients and prove the high quality of your translation services is to use International Standards determined by the ISO (International Organization for Standardization). There are several standards developed for language service providers that guarantee a quality process of translation. ISO 17100, which determines the core processes, resources, and other main aspects governing the translation service. Note, that it does not apply for cases of using machine translation as a raw output followed by human post-editing (a form of translation that is gaining popularity in recent years and is preferred by many clients as a cheaper version with the good quality compared to purely human translation). ISO 9000 focuses on quality management and provides tools and guidance for companies who want to make sure that they are providing a consistent service, which meets their client’s expectations. Another well-known standard is the EN 15038 quality standard which aims to unify the terminology used and set up basic rules for language service providers (LSPs). The standard is developed specifically for LSPs in the translation field and provides a framework of rights and obligations. An example of its requirements is the necessity to include at least two separate people in the translation process – one doing the translation and the other in charge of proofreading or editing. There are other standards and metrics, that LSPs can implement into their Quality Assurance programs in order to make sure that they offer a consistent service of high quality. It is necessary to have a specific system for measuring quality in translation regardless of the concrete methodology used. Such quality assurance makes the translation agency a preferred partner and employer as it guarantees consistency of the translation services.